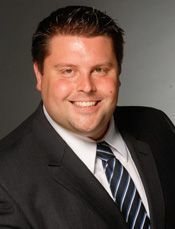 Trenton J. Ongert, Member. Admitted to the Colorado State Bar, U.S. District Court for the District of Colorado, and U.S. Tenth Circuit Court of Appeals in 2005. Education: University of Denver Sturm College of Law (J.D. 2005), Northwestern University in Evanston, Illinois (B.S. 2002). Member: Colorado Trial Lawyers Association, Denver Bar Association (Past Chair of the Young Lawyers Division), Colorado Bar Association, and American Bar Association. Graduate of the Colorado Bar Association Leadership Training Class of 2015. Past President of the Denver Bar Association Community Action Network Committee. Former Denver Bar Association Trustee. Mr. Ongert spent the first five years of his legal career as an insurance defense litigator. He evaluated claims from the perspective of the insurance carrier, where he gained an in-depth understanding of the procedures, ploys, and strategies regularly utilized by insurance companies. Mr. Ongert’s wide-ranging civil litigation practice includes auto injury law, ski injury law, trucking law, insurance law, slip and falls, dog bites, medical malpractice, construction defect, real estate, and contract disputes. Mr. Ongert regularly assists clients with probate matters and estate planning. Mr. Ongert also enjoys his family law practice where he assists his clients in all domestic issues and proceedings. Mr. Ongert became a Member of Bloch & Chapleau, LLC in January 2013.